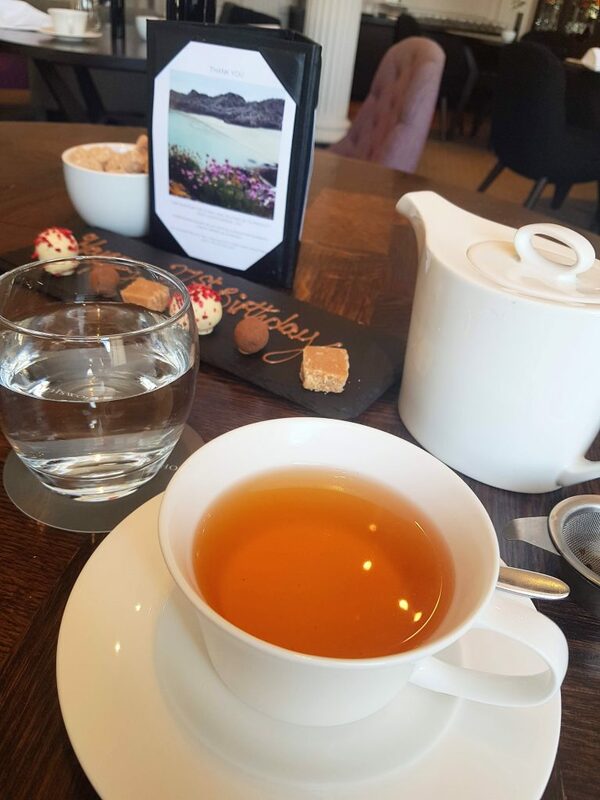 Last week my gal Rosie celebrated her 21st birthday, and with me being such a great friend (otherwise known as I forgot to physically buy her a present) I treated her to a wee spot of Afternoon Tea at the Salon in Blythswood Square Hotel. Guys, this hotel is soooo posh! It was absolutely amazing. The décor inside is so luxe; it’s so elegant and chic. 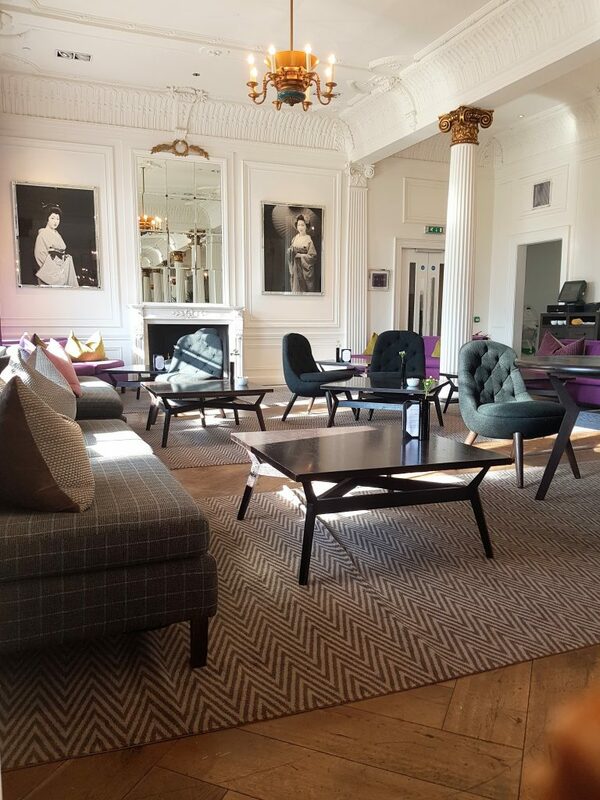 The chairs are all made of Harris Tweed, and the bathrooms are so swanky. I’m very much a person who judges a place by its bathroom, and the Blythswood did not disappoint. The food was all so lovely, and the cakes were all delicate and very unusual in flavour; my favourite was the Lemon and Elderflower Sponge. Funny story; Rosie and I had asked them to box some of the leftover cakes as we were stuffed full. Well, did we not get up and forget our goodie box when we left. We rushed back as soon as we realised, but they’d unfortunately already cleared the table. However, because we’d gone back, they made us a whole new set of fresh cakes! It was this kind of first class service that really made our afternoon. From the word go the staff were so lovely, and just the right level of attentive. We had everything we needed, but we didn’t feel rushed or harassed. We were allowed to sit there for 3 hours, chatting away, with not a care in the world. When I placed the booking I had requested a window seat as we were celebrating Rosie’s birthday. 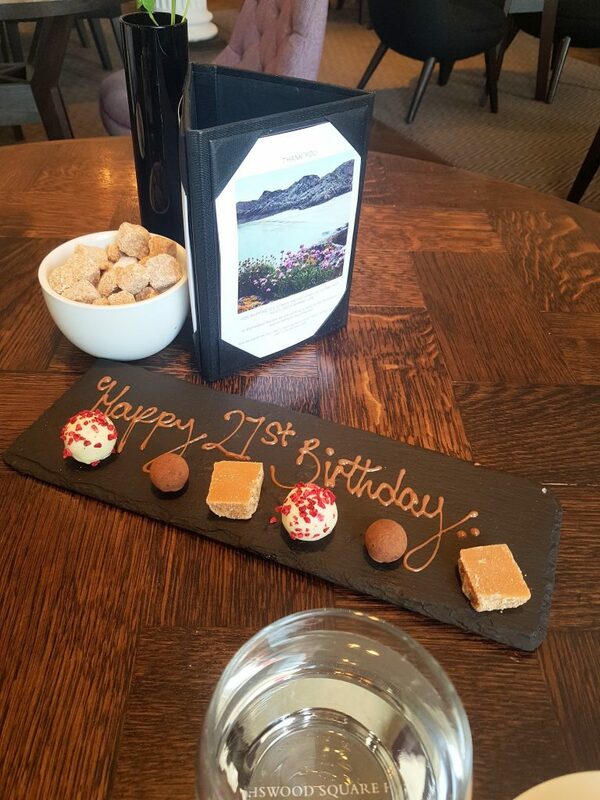 When we arrived and were escorted to the table, I was overjoyed to find that they had also left a small slate on the table with a Happy Birthday message and some adorable little chocolates. 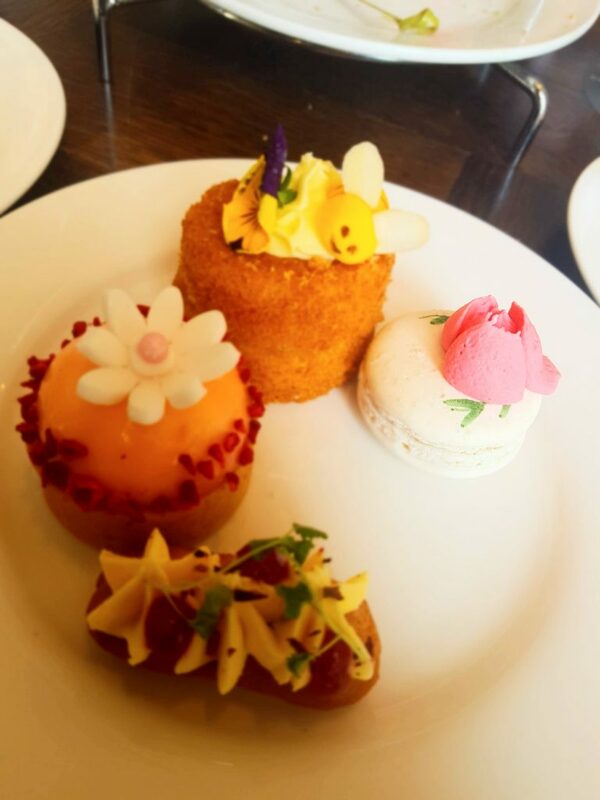 I would wholeheartedly recommend Afternoon Tea at the Blythswood to anyone, especially for a special occasion. It’s just such a spectacular location, and the staff are second to none. As a bonus, the Hotel are currently running an offer – Afternoon Tea for Two for £35. This is not an offer to be missed!